She has been propelled to stardom as a lead character in the American fantasy drama. 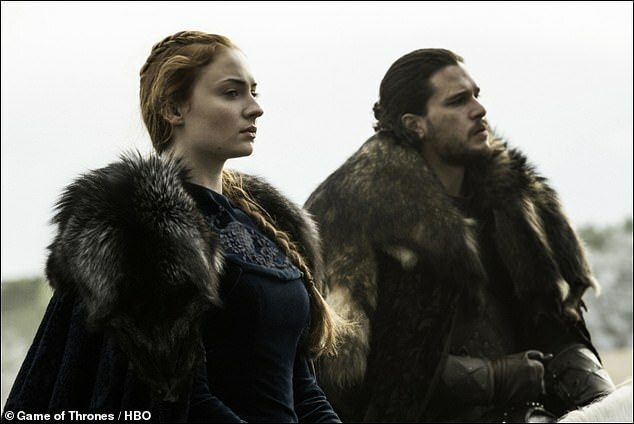 But Game of Thrones star Sophie Turner has revealed her co-star Kit Harington is paid more than three times what she earns on the show. The actress, 23, told Harper’s Bazaar she feels it is fair she earns less than Harington because he has a larger part. 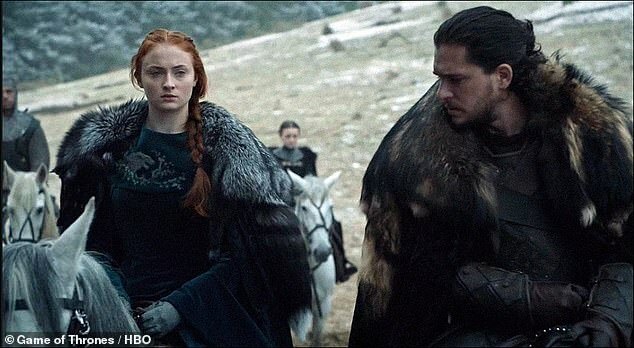 Kit plays Jon Snow while Miss Turner portrays his half-sister Sansa Stark in the TV programme. Sophie reportedly earns £158,000 each week for the big-budget drama, while Harrington, 32, is said to take home £537,000. ‘Kit got more money than me, but he had a bigger storyline’, she said. Sophie – who has been working in TV since she was a teenager – said she has been made to feel uncomfortable by inappropriate actions of some people in the industry. ‘I’ve had my moments where I’ve thought in hindsight, “That was not an OK thing for someone to do,” but I’ve never had anything as extreme as these awful Weinstein cases’, she said. The actress also revealed she is planning a small wedding to fiancé Joe Jonas. ‘We’re trying to keep it as low-key as possible so it’s more of an intimate thing,’ she said. Speaking about how they met, she added: ‘We had a lot of mutual friends and they’d been trying to introduce us for a long time. ‘We were following each other on Instagram and he direct-messaged me one fine day, out of the blue. ‘He’s lovely. He’s just the funniest. You wouldn’t expect he’s about to turn 30 this year. 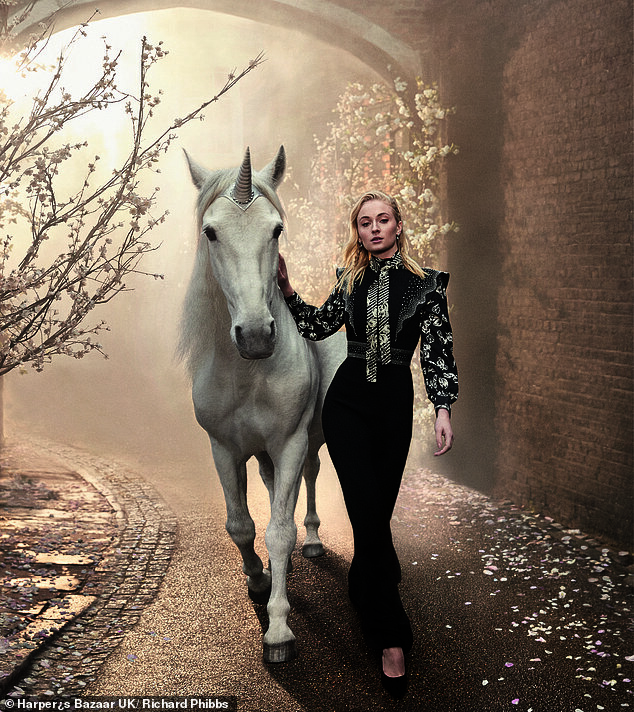 Sophie described filming the final Game Of Thrones series as ‘like a death in the family’, adding: ‘I’m losing the character I’ve played so long. 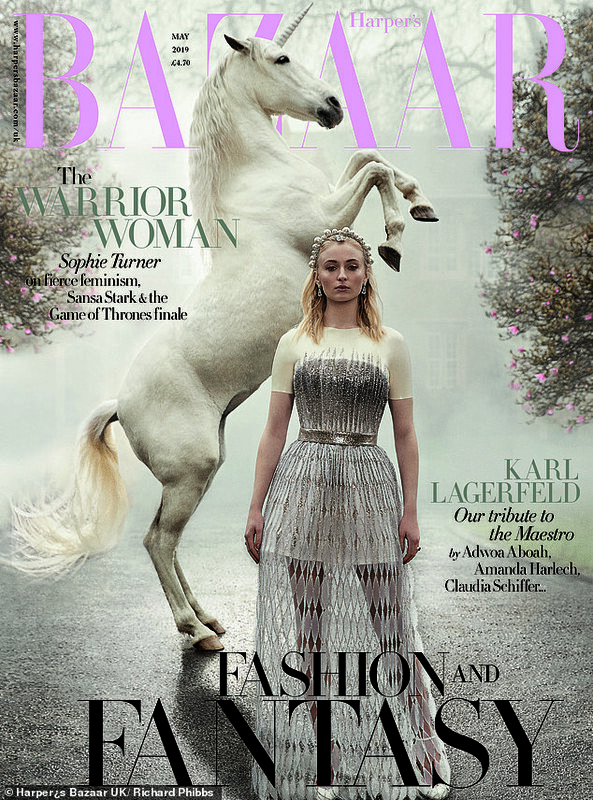 The May issue of Harper’s Bazaar UK is on sale from Thursday.